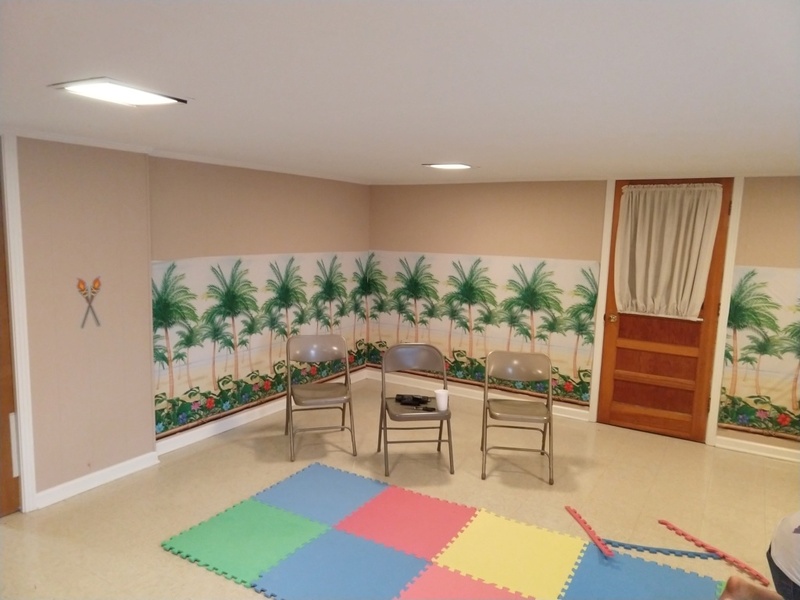 I'm sensing a slight tropical theme. Maybe it's just me. 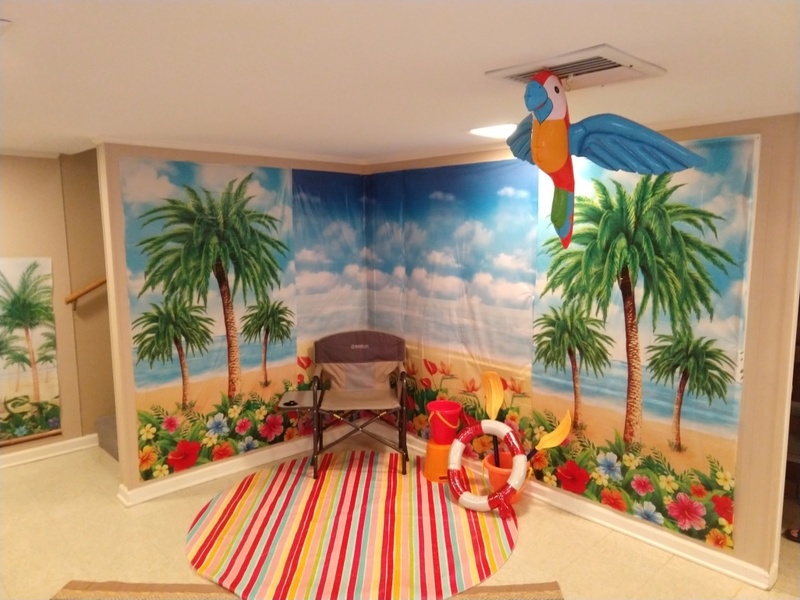 The theme is Shipwrecked, so yes it has a slight tropical flair. Your Spidey senses are working as they should! A three hour tour . . . . a three hour tour. 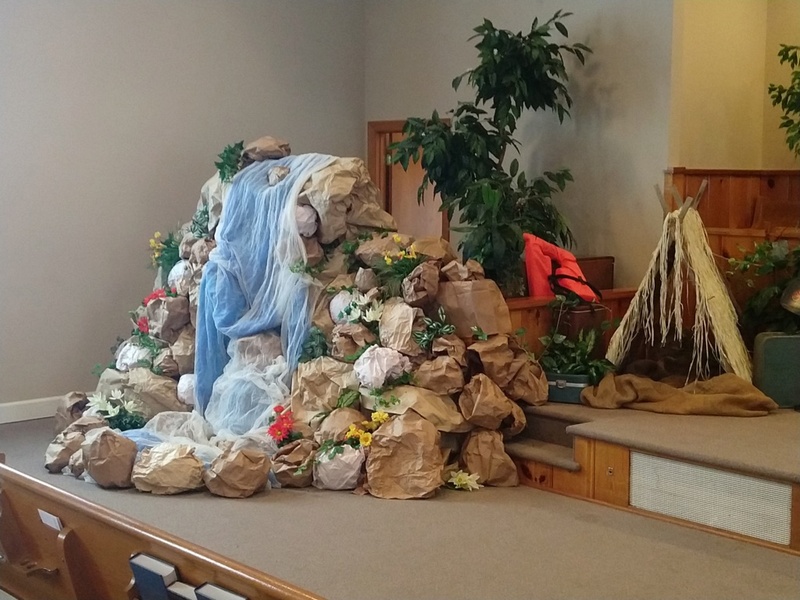 A tropical shipwrack, that must be a cool theme for the VBS this week. 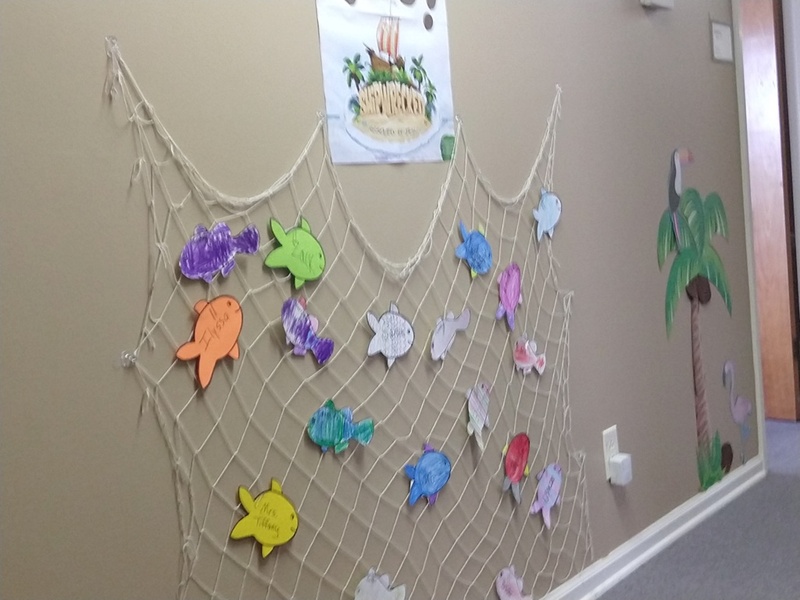 One of the things we do each year with VBS is take the offering for each night and have a missions focus. Both last year and this year, we are sending the money to Street Reach. They are the organization in Memphis where my youth served a few weeks ago. They own and operate the Brinkley Heights Urban Academy which is a non-profit Christian school for the most at-risk kids. They get sponsors to cover the tuition costs for these kids who may have parents that are druggies, pimps/hookers, drug dealers, gang members, etc. We are hoping to raise $600. We lack $125 and still have two nights to go! I am sure there will be video available. Sounds great. I'd send my kids, but the buses don't go that far. We don't even have a bus or van. We wanted one back in 2013, but there were some people who were pushing to get stained glass windows in the church. They eventually won out. Then, they started their own church and split off from us two years ago. 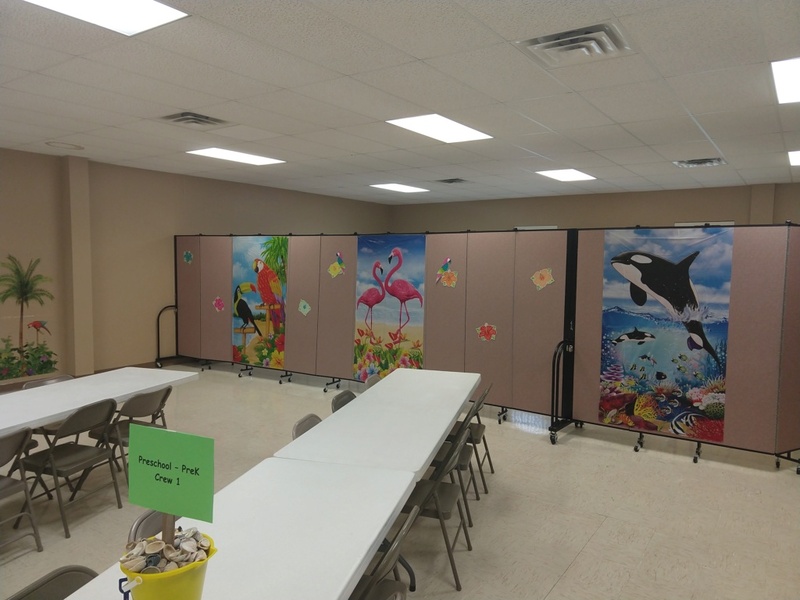 Now, we don't have a van, have a smaller youth/children program, and we got stuck with those hideous 1980's looking windows. It's so good to teach the kids to give something to others too. Not all kids have a safe home and things they need. Church politics! Yikes! Sometimes it's horrid. We had a similar thing with a church organ many years ago. Completely pointless, but we ended up spending thousands on an organ much to big for what we needed. This is what I will be using in the background. I spend some time yesterday compiling the songs and clips, cutting them down, splicing them, and finding video to put it together with. I think it turned out well! Man that is awesome! Our offering mission project was partnering with a group called 410 Bridge to provide chickens to families in Haiti. The families care for the chickens and sell the eggs to raise money to send their children to school. For $25 they can provide a family with a chicken, vet visits, 3 months of feed, and they will buy any eggs they can't sell. Ideally they want to set families up with 10 chickens, so $250 for a family. We ended up raising over $1500!! That totally blew away any of our past weekly offerings. One of our sixth grade girls came in with a gallon bag filled with over $40 in change and bills--she baked and sold cookies to raise money to give to the offering. Our goal was $600. That would cover one child to attend the Brinkley Heights Urban Academy for one month. As of last night, we were at $702. Some of the kids have brought in $20 bills. Some have brought in big bags of loose change. It has been incredible! With the added bonus of having me dance the hula, they have really given a lot this week. What they don't know is that this was all planned ahead of time. I just have to pretend that I really don't want to do it. But, when we get to the "All About That Bass" section of my dance track, I am going to ham it up good just to give the kids a big laugh. Someone better get video of that. Oh, I think there will be more than enough cameras rolling for this. What everyone is thinking is that I will be embarrassed by the videos popping up online. I have done theater and have had to play a female before. This is a walk in the park! I will proudly display my grass skirt and coconut bra! Good! I can't wait to see it. How was this week with having the VBS every night? It has gone extremely well. Our lowest nights were 39 kids. That was both on Monday and Friday night. The rest of the week, we had 49, 48, and 41. So, we stayed up with good numbers all around. A handful of kids used to go to our church but were part of the split two years ago. A handful go to our own church. The majority do not go anywhere. So, we need to get busy over the next two weeks of contacting these families and trying to get them into services. If we don't, then it shows that we do not want them or want our church to grow again. 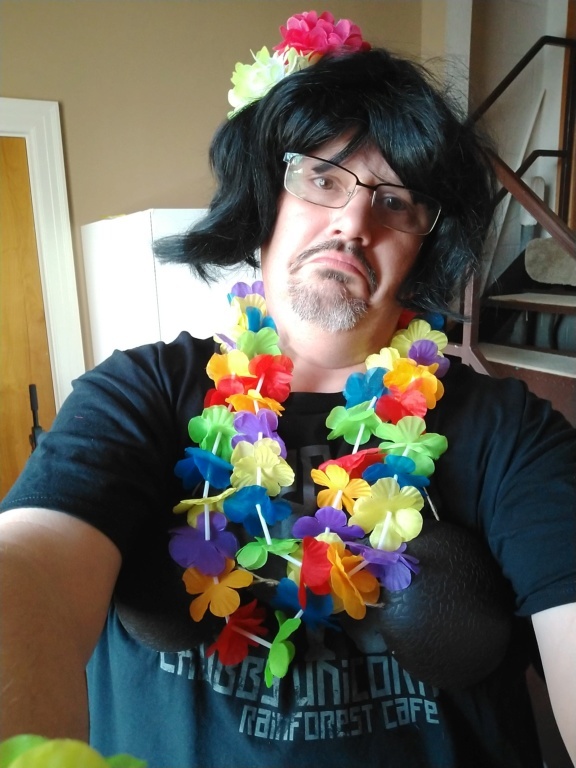 I don't have the video yet, but here is a selfie I made before my big hula debut. Oh man that is great! You are such a good sport, the kids must just love you. That's a good hair look on you. I have become the face of VBS over the years. We have a few kids that go to other churches that come each year because we do a different theme. They will ask their grandmothers if Big Chris is gonna be there. 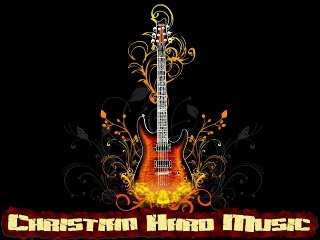 So, I keep leading the music and learning all the hand motions. Any hair look on me is better than what I naturally have left! 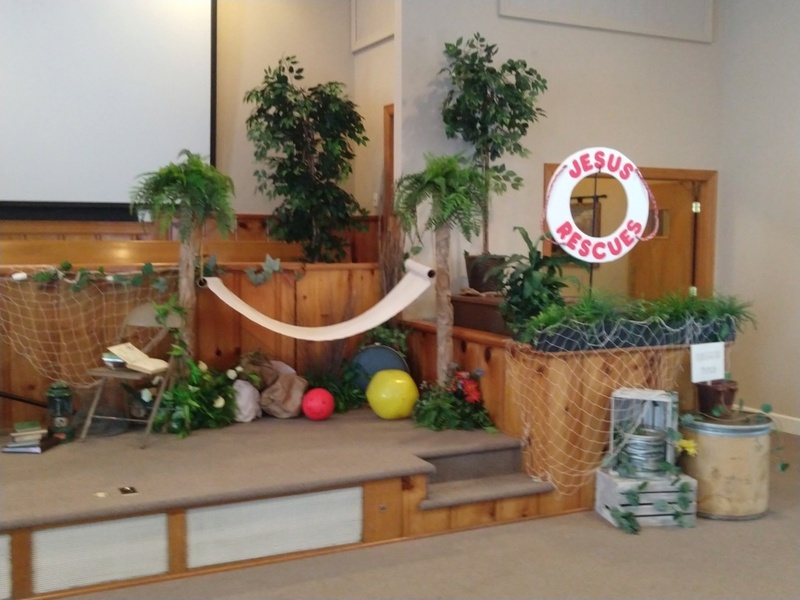 Subject: Re: VBS is under way!! !